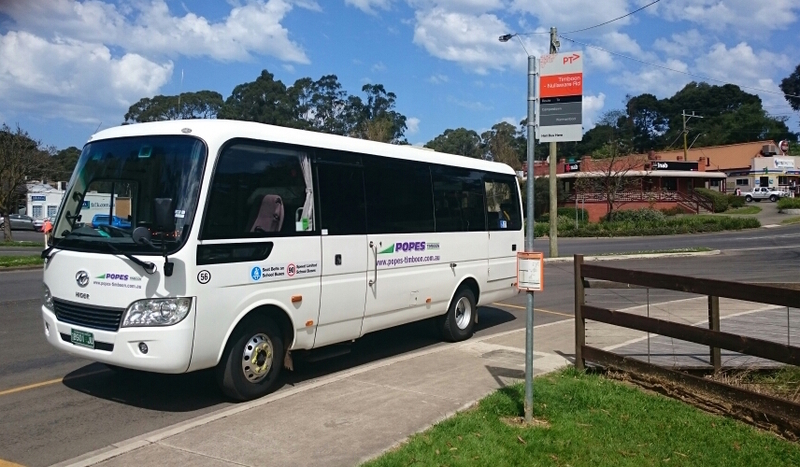 An extension of the public bus service between Camperdown and Timboon to include Port Campbell is one of the options flagged in a new survey to gather community views. Popes Timboon, which operates the service for Public Transport Victoria, also proposes the installation of racks on the bus, or a trailer, to cater for bikes and other large items. Operations Manager David Pope said the consultation project was critical in shaping changes to the service to ensure it met the current and future needs of the community. “Some people might be surprised to know there are 28 public bus services operating every week between Timboon and Camperdown, via Cobden,” he said. “The service is becoming more and more important to more and more people. Public transport patronage in Corangamite Shire has doubled in four years – with uptake now twice that of the Victorian average,” he said. “That being said, there is plenty of scope to grow patronage on the service without investing in additional services or more vehicles. Mr Pope said the survey also sought recommendations for new stops in the towns. “Bus travel is the safest, most reliable and environmentally friendly form of road transport there is,” he said. “Maybe there is strong support in the community for the service to stop at health centres, pools, lakes, walking tracks and trails, sporting venues or hotels and entertainment venues,” he said. Mr Pope said the proposed extension of the current route to include Port Campbell would not only link the town to Timboon, Cobden and Camperdown, but also to Geelong, Melbourne and beyond. “Providing opportunities for people to travel where they want to via public transport is important and linking up with the V/Line service at Camperdown does that,” he said. “The proposed route extension to Port Campbell is realistic and we want to do it. If there’s good support, it can happen – it’s that simple. The survey is available online at www.popes-timboon.com.au with hard copies available onboard the bus service and at various businesses throughout the shire.